Muktinath Pilgrimage Tour is clearly the Pilgrims tour for the Hindus and Buddhist. Many people go to this temple so that they could be get rid of the Sins that they have committed int hoer life span. This holy temple lies in the Manang district of Western Nepal. Nepal and the Himalayas are dotted with thousands of temples of big importance. 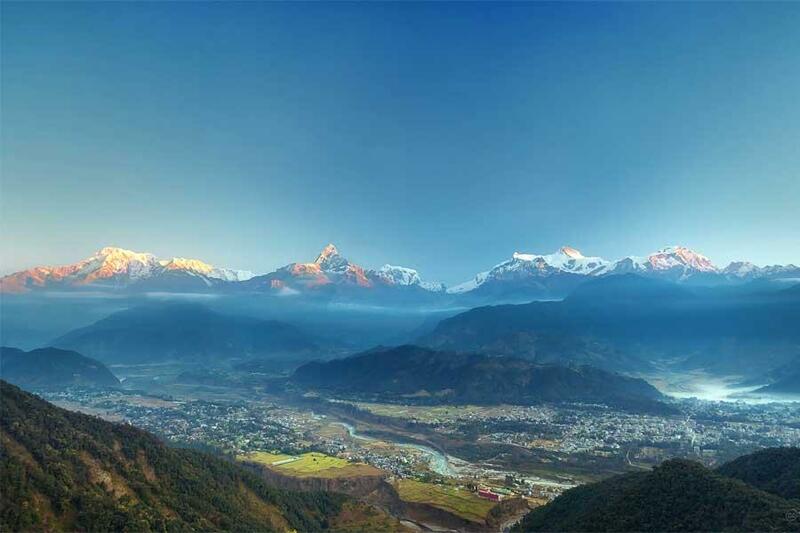 We start off the tour in the Kathmandu Valley, where we will explore all the major temples in and around the city. En route to Pokhara we visit the temple of Manakamana. From Pokhara, we move to more challenging locations in Lower Mustang and the temple of Muktinath, situated on high altitude and ornamented with 108 holy taps. Muktinath Pilgrimage Tour offers the spectacular view of landscapes of the high-altitude desert of Mustang and its mighty Himalayan peaks, while witnessing devotees taking a bath through the 108 taps. If you are brave enough, you could give it a go as well! A wonderful way to end this mythical journey. We will organize for you a day tour of 2 famous Hindu temples. Firstly, we will visit Budhanilkantha temple. It is a Hindu open air temple dedicated to Lord Vishnu, which can be identified by a large reclining statue of Lord Vishnu. The temple’s main statue of Budhanilkantha is considered the largest stone carving in Nepal. We will also visit the sacred Hindu temple of PashupatiNath. This impressive religious complex and old temple dedicated to Shiva will brings you during the evening in a Hindu ceremony called Arati. It will be an excellent time to be emmerge in the Hindu culture. After your breakfast, your driver will drive you to Dakshinkali Temple. Considered as one of the main temples of Nepal, it is dedicated to the goddess Kali. Sometimes it is possible to see some rituals as the animal sacrifices, particularly of cockerels and unconsecrated male goats. It is the main way that the goddess is worshiped. Afterward you will visit Patan Durbar Square, which is a marvel of Newa architecture. The Square floor is tiled with red bricks. There are many temples and the royal palace where the Malla Kings of Lalitpur resided. Moreover a great museum explains Hindu history and exhibits religious relics. 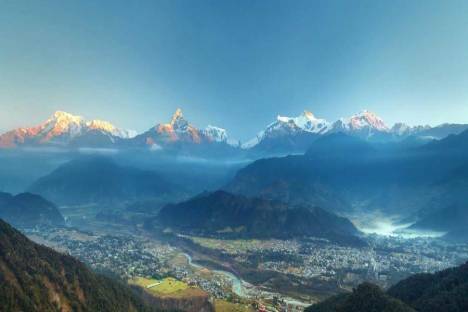 Early in the morning you will take a fly to Jomsom. This scenic fly will give you some beautiful views on the great Himalayan range. 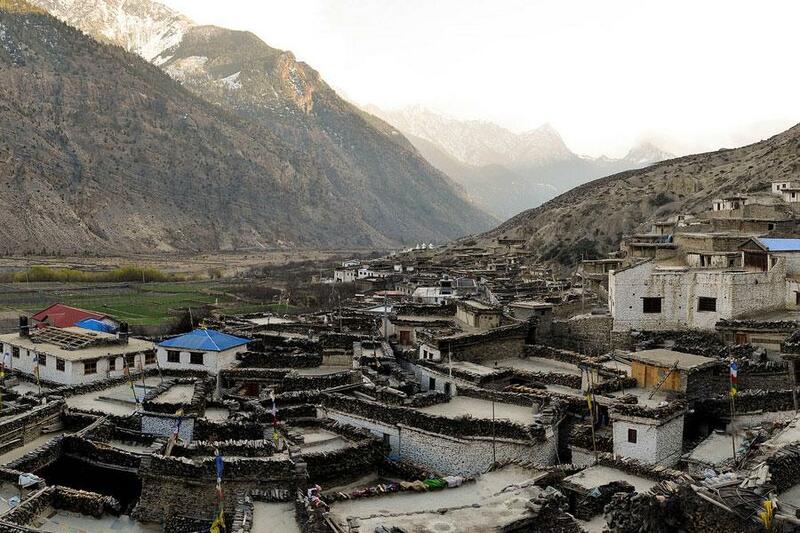 Once upon arrival, your driver will drive you to Muktinath Temple. It is a sacred place for both Hindus and Buddhists located at the foot of the Thorong La mountain pass. Within Hinduism, it is called Mukti Kshetra, which literally means the «place of liberation or moksha». The Buddhists call it Chumig Gyatsa, which in Tibetan means «Hundred Waters». Although the temple has a Vaishnava origin, it is also revered in Buddhism. Depending to the time, you will have free time to wonder in the streets or have rest in your hotel. To conclude this day and our trip all together, Himalayantrekking.com will organize a Farewell dinner in typical restaurant with cultural dance performance.